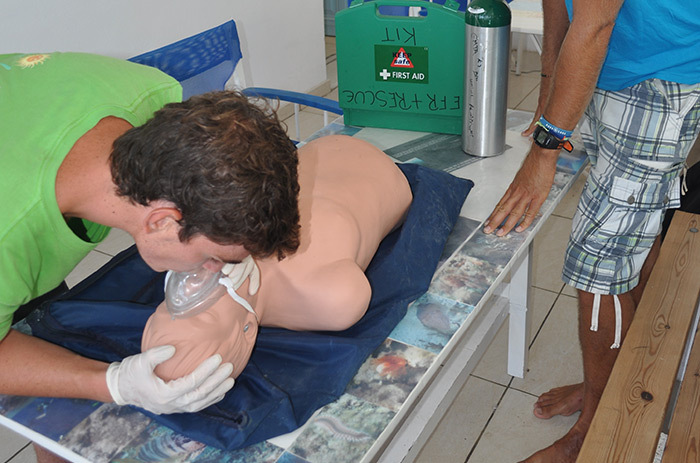 The Emergency First Response course gives you the knowledge to perform CPR and first aid both to divers and non divers. The theory includes self rescue, rescue management, equipment use etc. and is a necessary requirement for the Rescue Diver course. Cost includes: Manual and certification fee.